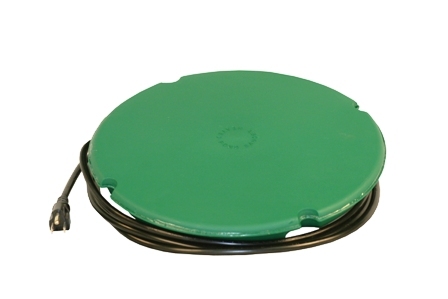 Easy to use; Just plug in your Floating Heater and float it on your pond dome side up. 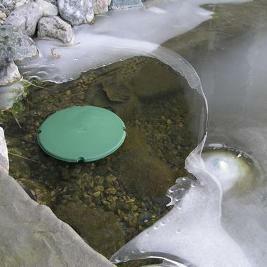 If your pond is already ice covered, drill a hole with an ice auger and place the Floating Heater over the hole. 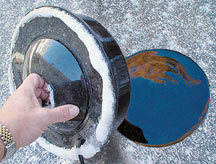 If the ice is only 1 or 2 inches thick, place the Floating Heater on the ice and it will melt its way through. Do not chop through the ice in smaller ponds as the shock waves can damage or kill your fish. "Always keep safety your number one priority." Never walk on thin ice. Try to position your Floating deicer within arm's reach or shore to avoid walking on thin ice. 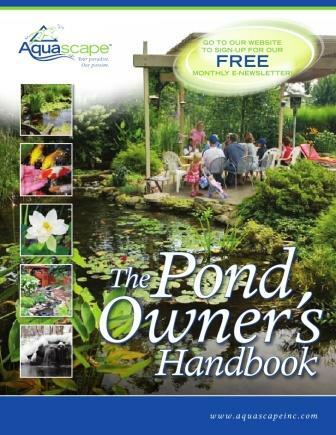 * Floating Heaters are recommended for ponds up to 600 gallons. 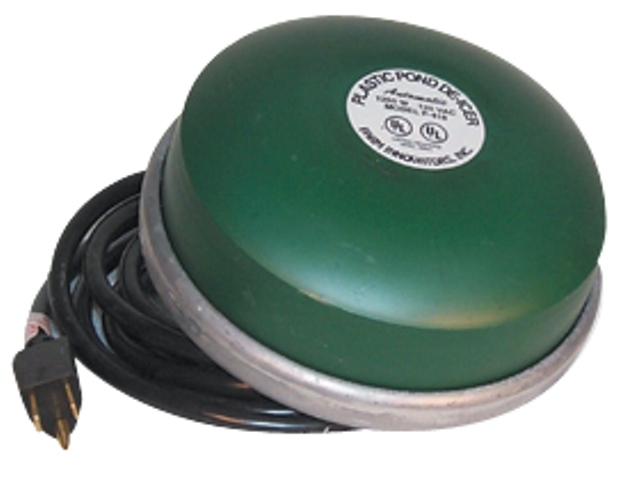 Please use two Floating Heaters for ponds over 600 gallons or for ponds requiring extra gas exchange due to excessive plant decay or large quantities of fish under the ice. 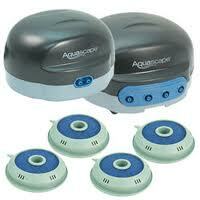 AquaForce Gen2 Pumps Great for small ponds with low head applications. A combination of high performance flow with a low maintenance design & 3-YEAR WARRANTY! 91104 Great for small ponds with low head applications. 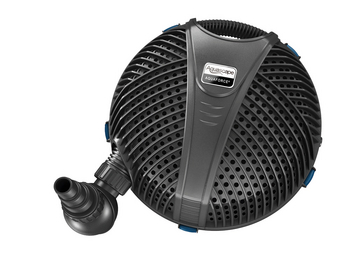 A combination of high performance flow with a low maintenance design & 3-YEAR WARRANTY!